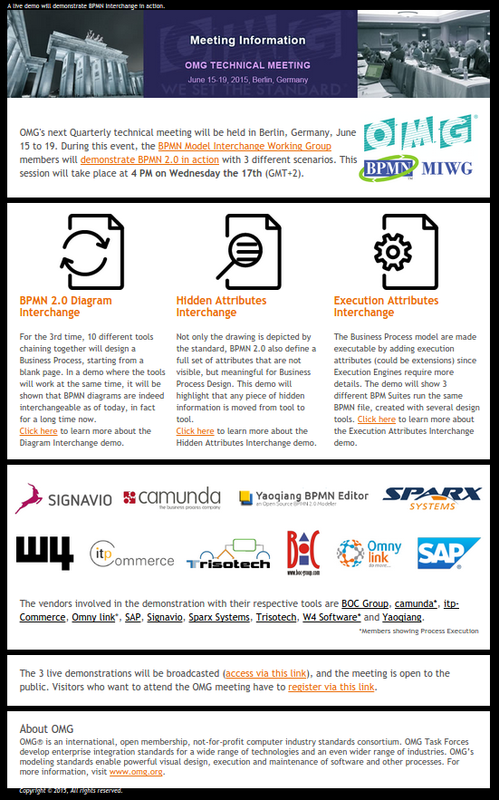 Camunda has been contributing to this working group since the very beginning, because BPMN interchange allows users of Camunda BPM to leverage an increasing number of different process modelling tools for Business-IT Alignment. This year’s demo will even show three different scenarios and for the first time also the interchange of an executable BPMN 2.0 process model. Camunda will participate in all three scenarios with it’s BPMN modeling tools Camunda Modeler and BPMN.io. 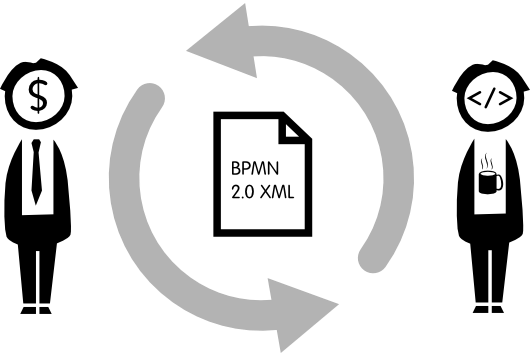 In the scenario for executable model interchange the Camunda BPM Platform will be one of three executing BPMN 2.0 engines. See the official press release for information on how to attend the event online or onsite.